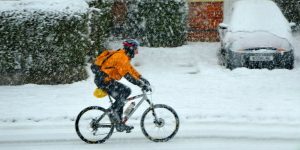 Sometimes even the most committed bicyclist commuters consider the sight of snow a good enough excuse to find an alternative means to travel. But there are many reasons cyclists find to keep pedaling. Some have noted that keeping up on their daily treks despite the cold overall keeps their immune system virile, their bodies overall healthier. It also remains for many the fastest way to their destination. 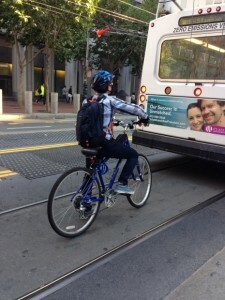 Whereas a bus or the T might take 45 minutes to travel, a cyclist can often make it in half the time. As Boston bicycle attorneys know, in cities like this where cycling is increasingly common, you’ll notice those bike lanes stay busy, with riders layering up their clothing and some fattening up (their bike tires that is). Staying safe though can be another matter. An estimated 40,000 bicycle trips were made in Boston every day, according to official counts in 2017. 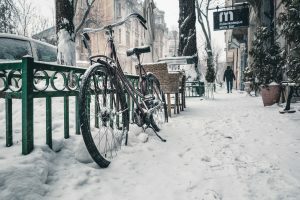 Cycling slips off a bit in the winter, but the reality is biking infrastructure isn’t appreciably worse in the winter versus the summer. The only thing especially perilous about riding in the colder months is the same thing that is dangerous about cycling in Boston every other day: How other road users behave toward you. Primarily, that means careless or inattentive drivers, though pedestrians and other cyclists sometimes pose a risk also. Of course, that doesn’t mean it’s wise to head out into a blizzard or ice storm or when the snow becomes virtually impassible. Not only are you more likely to get stuck, motorists are going to have a tougher time seeing you than they do normally. Even if you’re wearing all kinds of reflecting and contrasting gear, drivers may have difficulty slowing or stopping in time to prevent Boston bicycle accident by the time they do see you. 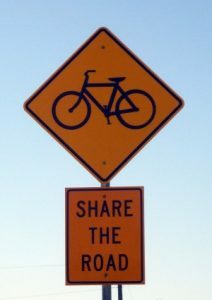 Many bike accidents in which a bicyclist is seriously injured or killed occur in areas in which there is not adequate bike safety infrastructure and drivers have not been given sufficient education on the topic of bike safety as more and more bike commuters are on the roads of Boston and other major cities across the nation than ever before. 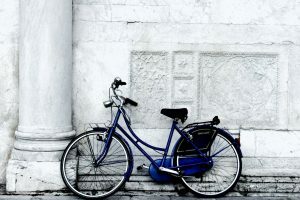 If you are involved in a bike accident that was not your fault in Boston, you should never decline medical attention. In far too many cases, cyclists decline offers of medical assistance from first responders. 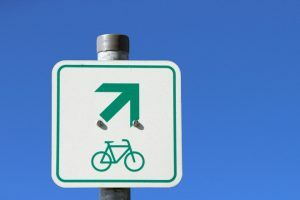 When a person gets on a bike and hits the streets, they are getting exercise, reducing their carbon footprint and engaging in an activity that is becoming very popular in the greater Boston area and across the nation. While that is the upside, the downside is that many motorists are not driving in a safe manner and are not taking bike safety laws seriously, and this can and often does result in serious personal injury or death. 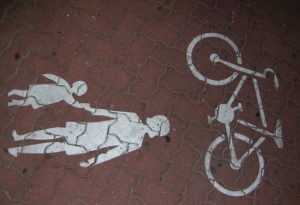 In some cases, a cyclist might even share part of the blame. This is what is referred to as comparative negligence. Thankfully, state law does not make this a barrier to recovering damages. Riders who were partially at-fault for the crash may still recover damages, so long as they are not more than half responsible for causing the crash. 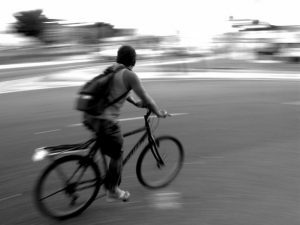 Our Boston bicycle accident lawyers are not just attorneys – we are avid riders ourselves. We are committed to advocacy that makes Boston streets safer for cyclists, and have been on the forefront of some of the state’s most important legislation to protect cyclists. This in-depth knowledge of these statutes is what allows us to provide such strong representation for our clients. We also support others’ efforts to promote safe cycling and better driver awareness of rider presence and rights. A recent news article from the Park Record discusses how middle school student who was in a serious bike crash now is dedicated to bike safety and has even given a seminar on the subject at this school. 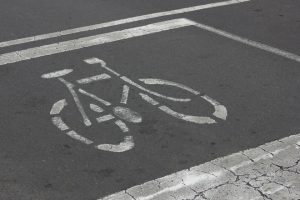 In Hurst v. Metropolitan Casualty Insurance Company, a case from the Supreme Court of Wyoming, two plaintiffs were ridding separate bicycles around noon. One plaintiff was riding about 30 feet in front of the other, and they were both on the shoulder of the road and the emergency lane when one was present.